The first teaser. Image from Warner Bros Pictures. 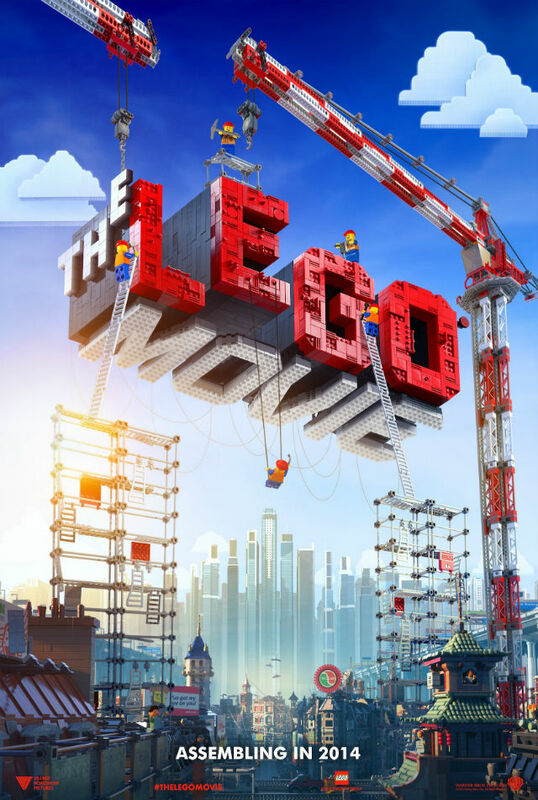 Everything is awesome–this movie, especially. I was feeling purely cynical toward it, at first. It seemed like The LEGO Movie was going to be a promotional movie for an amazing toy I grew up with that didn’t need a movie to boost its sales at all. I was thinking that the plot was bound to be mildly entertaining, at most. Except, not only was The LEGO Movie intelligent, awesome, interesting, and special; it managed to be funny without relying on innuendo, poop jokes, and slapstick. We begin with Lord Business (Will Ferrell) , extremely tall and evil overlord, who steals a superweapon called the Kragle from the volcanic lair of the wizard Vitruvius (Morgan Freeman). Vitruvius makes a prophecy: one day, a being called “The Special” will find the Piece of Resistance, which will disarm the Kragle forever, and s/he will become the most awesome, special, most interesting person in the universe. The Lord Business takes out Vitruvius’s eyes, but whatever. 8 1/2 years later, construction worker Emmett (Chris Pratt)–who has never had an original thought in his life–is going about his awesome, ordinary day to a T when he meets Wyldstyle (Elizabeth Banks) at the site. Through sheer stupidity, he stumbles (okay, falls) upon the Piece of Resistance in a hole way below ground and gets it stuck to his back. What follows is a wild ride through several LEGO worlds with Wyldstyle, Vitruvius, Batman, Uni-kitty, Benny the Space Guy, and Metalbeard the Robot Pirate. They are hounded all the way by Good Cop/Bad Cop (Liam Neeson), who will have his own important part to play at the final showdown with Lord Business and his Micromanagers. My only concern with The LEGO Movie is that its funniest scenes may have already been played out in the trailers. I was expecting to laugh really loud along with a theater full of children–and I did, just not as much as I thought I would. That said, I cannot think of anything remotely terrible to say about this genre-savvy film. Stunning graphics resembling stop-motion animation appear to do anything from pyrotechnics to tossing waves of the sea, the music is awesome and as stuck in my head as the Piece of Resistance is to Emmett’s back (“Everything is Awesome” by Teagan and Sara, featuring The Lonely Island), the humor is clean and silly, the characters are endearing–there is just no one you can really hate in this movie (but my ultimate favorite has to be Vitruvius)–and the simple quest story that so riddles the great epics of the world really carries the day, thanks to some pointed satire. I love the way this movie turns the entire quest narrative on its head toward the end. The movie even goes off on a metafictional tangent, too–I am usually jarred by animated features that suddenly cut to real-time, real-life footage of people, as if the entire animated world we just saw wasn’t real or is less important (Happy Feet somehow suffers from this). But The LEGO Movie pulls this off rather well; the story in the real-world runs parallel to that of the LEGO world–they feed off each other, even. There’s also an endearing “message” about creativity and practicality, of going with your gut and following instructions. It turns out, you need a combination of both to save the day and to make anything wonderful. All in all, The LEGO Movie reminds me of my childhood and its best days. Anything that is capable of that is worth a second, third, and umpteenth viewing. And if you are still unconvinced about parting with your hard-earned money to see this wonderful little flick, I give you the blooper reel.